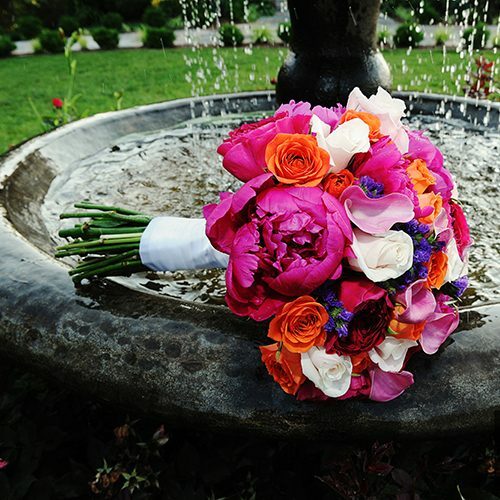 We couldn't be the "Best in the Bloomin' Business" without the very best wedding designer in the business! Bobbie Venable has been designing gorgeous wedding bouquets for over 35 years, helping each bride achieve her own one of a kind design. Bobbie loves to work with our brides to cusomize their flowers to fit their own personality, desired look and even budget! If you've visited our shop before, you know we have a spacious cooler that is always stocked with beautiful, fresh flowers. What a great way to choose the flowers for your wedding; by actually seeing and smelling them! We offer a FREE consultation (by appointment only) with our wedding designer to discuss your dream wedding, so bring your ideas, pictures, PInterest boards, etc... in and let's get started!